JERUSALEM - Israeli Prime Minister Benjamin Netanyahu on Wednesday defended his decision to expand construction in east Jerusalem, saying it was Israel's "right" and "duty" to build in all parts of its capital. Late Tuesday, Netanyahu's office said 2,000 new apartments would be built in Jewish areas of east Jerusalem. Officials said the move was an Israeli response to recent unilateral steps by the Palestinians, particularly its acceptance in the U.N. cultural agency UNESCO. The Palestinians, the U.S., Britain and the European Union condemned the decision to accelerate construction. White House spokesman Jay Carney said the Obama administration was "deeply disappointed" in the settlement decision. "Unilateral actions work against efforts to resume direct negotiations, and they do not advance the goal of a reasonable and necessary agreement between the two parties," Carney said. "And that is the only way to achieve the two-state solution that both sides have as their goal." The U.S. opposes Israeli settlement activity as well as the Palestinians' bid for membership in U.N. organizations. Carney said that "any action that either side takes that makes it harder rather than easier for the two parties to come together in direct negotiations is something that we oppose, and that would be the case here." Israel captured east Jerusalem along with the West Bank from Jordan in the 1967 Mideast war. Israel subsequently annexed east Jerusalem, home to sensitive Jewish, Muslim and Christian holy sites, in a move that has not been internationally recognized. Palestinians claim that section of the city as their future capital. Speaking at a special parliamentary session, Netanyahu pledged to keep building in east Jerusalem and said the city has never been a capital to any other people. "We are building in Jerusalem because it is our right and our duty to this generation and future generations, not as punishment but as the basic right of our people to build in its eternal city," he said. "Jerusalem will never return to the state it was in on the eve of the (1967) Six-Day War, that I promise you." The settlement projects announced by Netanyahu were not new, but he ordered they be accelerated. Such projects normally take years to complete because of planning and permit procedures and it was not clear how soon they would begin. Netanyahu stressed that all building would take place in areas that are slated to stay part of Israel under any future peace accord. 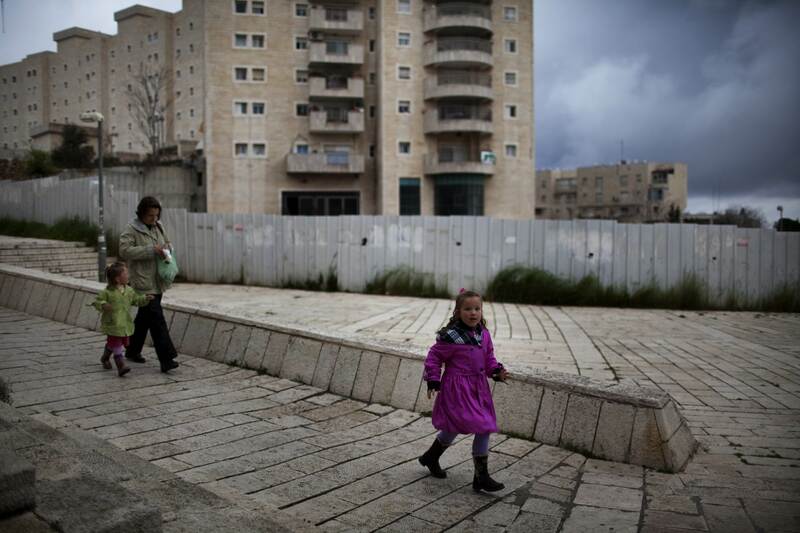 The Palestinians demand an end to all construction in Israeli settlements before peace talks can resume. Israel rejects that as a precondition, insisting that the issue of settlements will be resolved when borders are defined through negotiations. The announcement  and its linking to the UNESCO vote  sparked angry reactions. "Israel has a choice between settlements and peace, between negotiations and dictation, between the past and the future," Palestinian negotiator Saeb Erekat told an academic conference at the Institute for National Security Studies in Tel Aviv. "This government has chosen the past, settlements and dictation." At the same conference, Israeli opposition leader Tzipi Livni also slammed the announcement, saying that Israel should keep certain settlement blocs  but in the framework of a negotiated peace accord. "The idea that now we have to build more in order to punish the Palestinians is something that I cannot understand," she said. British Foreign Secretary William Hague also condemned the announcement, calling it a serious blow to efforts to restart peace talks. "This settlement building program is illegal under international law and is the latest in a series of provocative and unhelpful settlement announcements," he said in a statement. Also Wednesday, pro-Palestinian activists said two boats set sail for Gaza in another attempt to breach Israel's naval blockade. Amjad Shawwa, a spokesman for the activists in Gaza, said 27 people from nine countries are aboard the ships carrying medicine for Gaza. Activists said the vessels left Turkey on Wednesday and could reach Gaza in 48 hours. Israel imposed a sea blockade on Gaza in 2007 after Hamas militants seized control there. Israel says the blockade is needed to keep weapons out the hands of the militants. Critics say it is collective punishment. Israel says aid can be delivered to Gaza over land and considers attempts to reach Gaza by sea as political provocations. Last year, nine Turkish pro-Palestinian activists were killed in a botched Israeli raid on a similar flotilla. The incident severely damaged relations between Israel and Turkey.